Hi and welcome. Through the wonders of the internet, you’ve reached the online presence of T.K. Boomer, well most of it anyway. I can also be found in places like Facebook and Twitter. The bulk of this website is dedicated to all things Fahr and you’ll find a brief introduction to The Fahr Trilogy further down the page. The menu across the top of the page allows for easy navigation. I blog about other things too, most of it related to writing. Some of these blogs will have PDF links for downloads. If you’d like a PDF copy and I have not provided a link, contact me. The Fahr Trilogy falls into the first contact subgenre of science fiction. In broad terms, it’s the story of humanity’s first contact with an extra-terrestrial sapient species. But I take a few liberties with what one normally finds in that subgenre. I begin by telling the story from the alien point of view, full immersion science fiction. 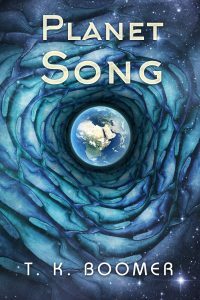 In Planet Song, the Fahr come to the Earth to feed an addiction, an addiction that is destroying their own society. Addictions are profitable to those who facilitate them, and the ship that arrives in Earth orbit in the middle of the 14thcentury is full of such facilitators. With one exception. Teracia knows how destructive her race can be when feeding its addictions, and she is determined to save the human race from her own kind. Planet Song focuses on this story. For more information click on the Planet Song image on the right. Alpha Tribe tells the story of what happens after mankind’s traumatic interaction with the Fahr. In it, American President Maria Alatorre realizes that mankind’s tribalistic lack of unity made it incapable of resisting the Fahr. She sees this problem as genetic and starts a massive research project aimed at revising the human genome. For more information on this, the second book in The Fahr Trilogy, click on Alpha Tribe image on the left. In The Will of the Giver this revised form of humanity journeys to the Fahr homeworld. This motley crew of interstellar nerds is led by Honi, a brilliant cybernetic creature with a dark secret. The Will of the Giver is still under construction and it and the cover artwork should make an appearance in late 2019. Please sign up for my newsletter for more up-to-date information on its publication date and other items of interest. The Fahr Trilogy has had a long gestation period. I detail some of this in the blog post “Extreme World Building”. Alpha Tribe made its appearance a full 18 months later than I intended. I had health issues and was dealing with the passing of several friends and family members. I’m not a multi-tasker and need to stay focused on the mono-task of writing a novel, and that wasn’t possible during much of that time. A word of warning to anyone wishing to read Alpha Tribe without having first read Planet Song. 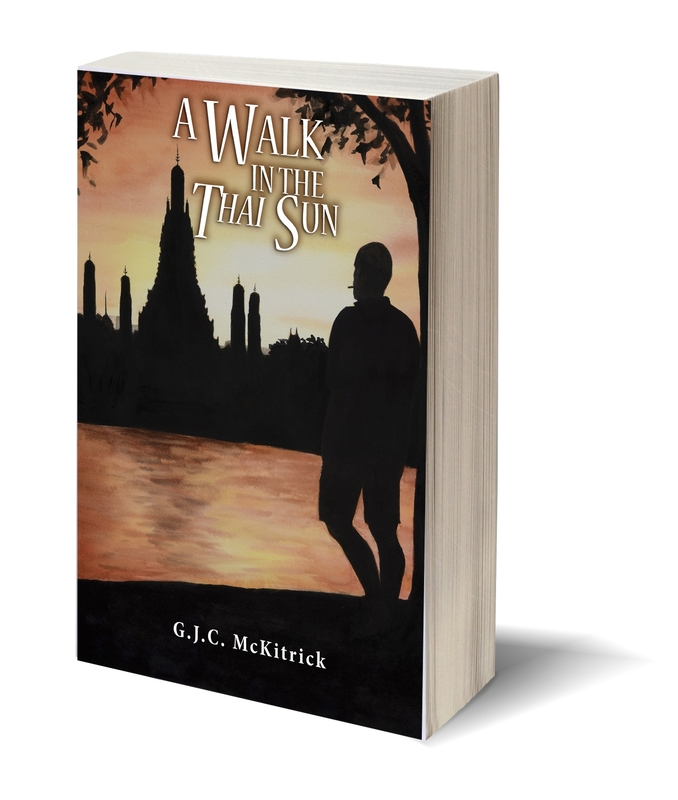 The Fahr Trilogy is a single narrative arc, one long story told over three books. In the same way that one should not read “Lord of the Rings” beginning with “The Two Towers”, one should not start The Fahr Trilogy with Alpha Tribe. 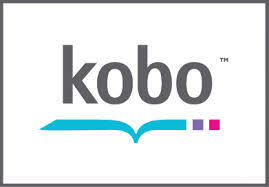 I have reduced the price for Planet Song on both the Amazon and Kobo websites. 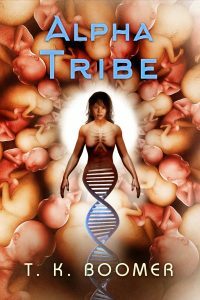 For those of you who have read Planet Song but need a reminder of the story, there is an appendix in the back of Alpha Tribe that provides a synopsis of the first book. This is no substitute for reading Planet Song as those who attempt to read Alpha Tribe after having read only this synopsis will soon discover. 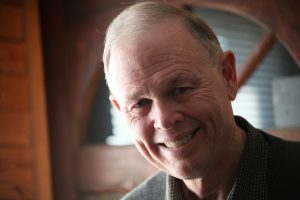 Below are the purchase links for books by T.K. Boomer. Click on the service you wish to use.